At the final Unigame meet I asked if I could borrow a couple of PCB’s to look into a bit further. 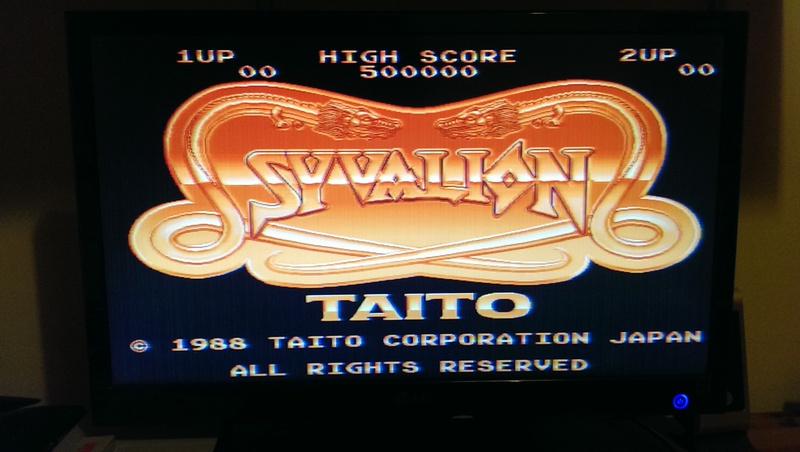 One was the Syvalion proto I dumped some time ago and it did not boot. 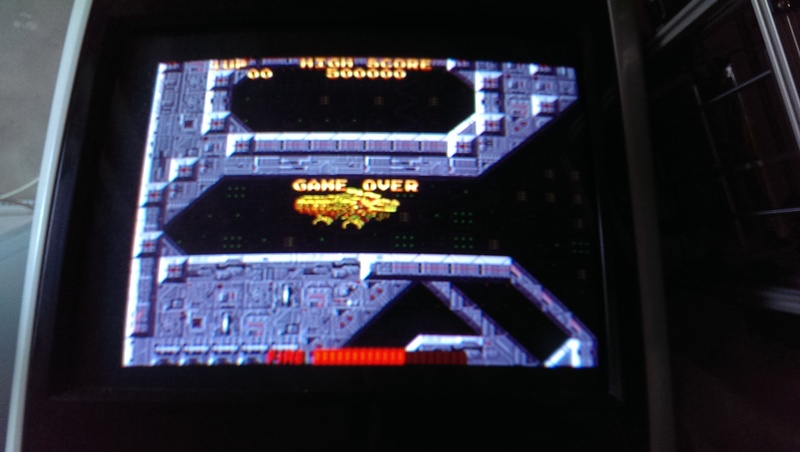 First thing to note about this PCB is that it is a medium resolution game so I could not use my normal test monitor. I ended up using the old CGA to VGA converter I had stored away. 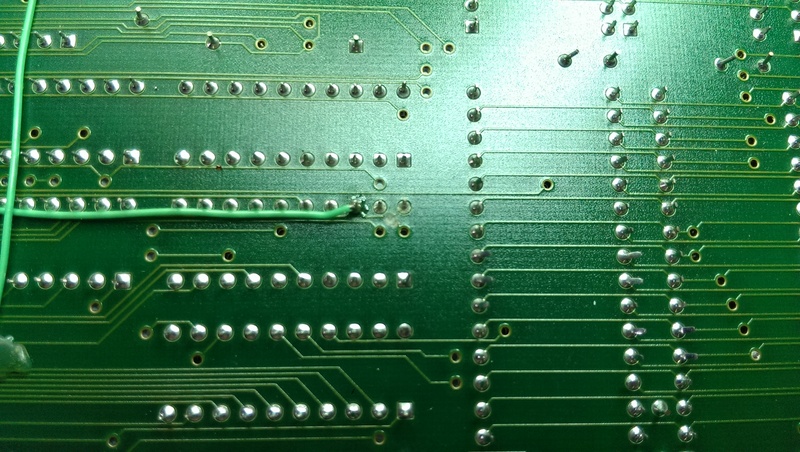 As the board already had its 68000 CPU socketed I opted to plug in the Fluke straight away. First thing I found was D10 looked to be stuck HIGH. This ended up being a broken track somewhere back to the CPU. I simply patched this and went straight to test. 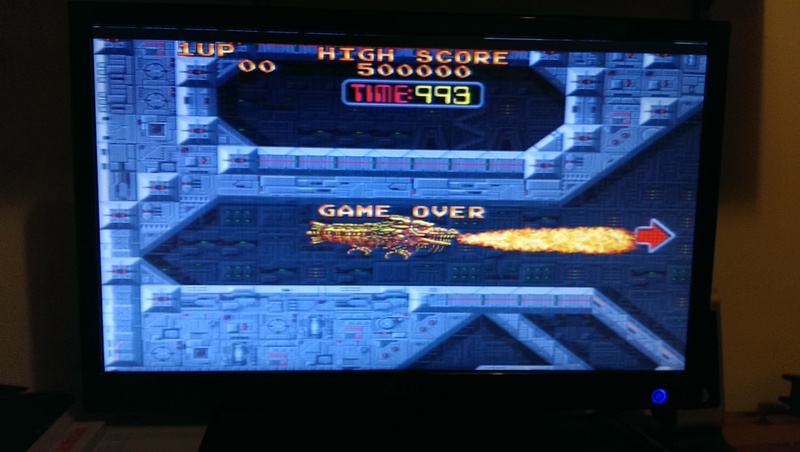 The game now boots but certain graphics were missing like the characters “fire” and the time in game. The graphics on the title screen was completely missing too. This confused me a little as all the other graphics were present and there were no broken sprites, backgrounds or anything else strange. With this being a prototype there were a lot of cut traces and patch wires on the board from factory so it was a bit difficult to tell whether there was damage present or a factory mod. I had to assume at this point that these were all mods. To cut a long story short I started looking for a test mode. I then found a couple of the DIPs were half way selected. I switched all of these OFF and did another test. The game cannot actually be played properly as it uses a trackball but I’ve played it in MAME and its actually quite fun.